I contacted American Woolen Company a couple times but never received a response. In fairness, I didn’t really pursue them because, well, when it comes to CTMQ articles, ones about moderately interesting businesses that don’t involve food or drink don’t rank very high. That’s not to say I don’t appreciate AWC – I do. I really do. And I love their story, which is why I drove past their building, took two pictures, and why I am now alerting you to their existence. American Woolen Company is a prominent name in the story of American textiles. 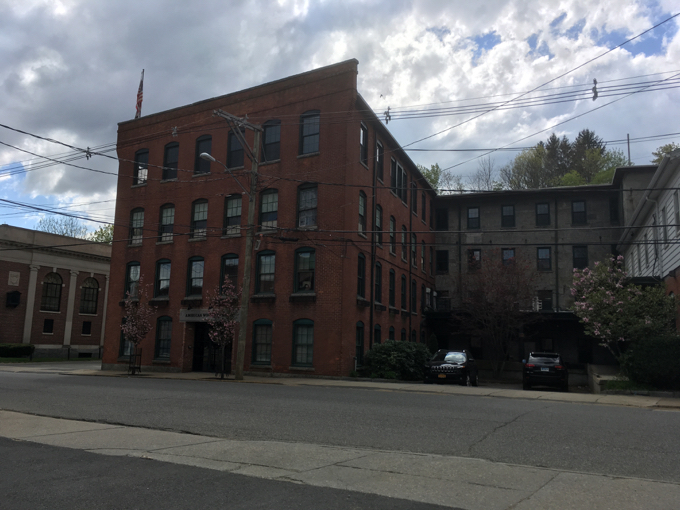 As the leading producer of worsted and woolen cloth at the beginning of the 20th century, American Woolen Company owned and operated 58 textile mills throughout New England and employed over 40,000 people. The company was recognized for its superior product quality as well as its focus on innovative manufacturing processes, a distinction that helped it maintain a competitive edge in an extremely challenging industry. Okay, cool. So AWC is an old textile manufacturer. But that’s hardly CTMQ material. What else? 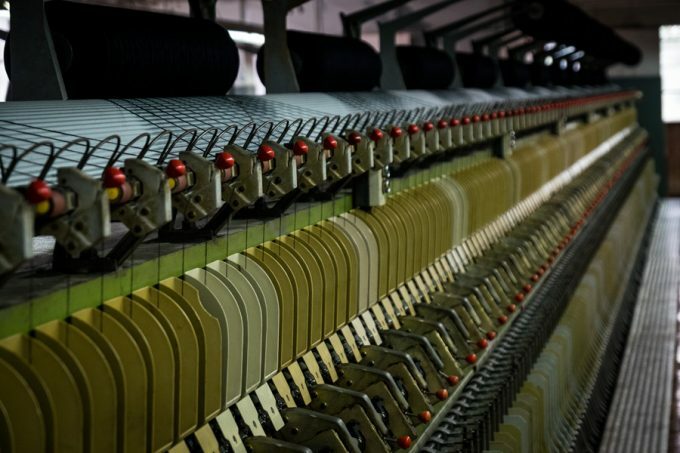 In 2014, the new American Woolen Company relaunched its business through the purchase of Warren Mills, a Stafford Springs, Connecticut based textile mill. Founded in 1853, Warren Mills was originally America’s most prominent manufacturer of fine camel hair and cashmere woolen fabrics. Now we’re getting somewhere. While “America’s most prominent” is certainly something that piques my interest, it seems to be more opinion than fact. CTMQ deals in facts. What else? Today, Warren Mills is the manufacturing headquarters of American Woolen Company. It is the only domestic mill capable of producing the highest qualities of both worsted and woolen cloth. American Woolen Company is committed to bringing back the jobs and technical mastery required to make the finest natural fiber fabrics in the world, in America. Warren Mills has been in operation in Stafford Springs, Connecticut since 1853, and it is one of the oldest continuously running textile mills in the United States. 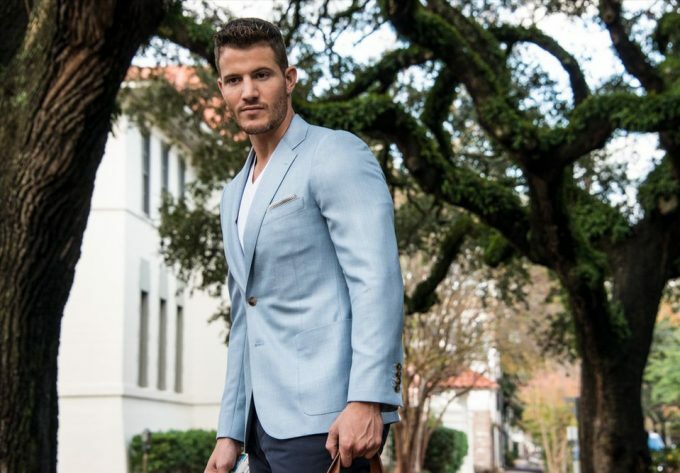 Their website is a trove of information about the history of the mill and the industry, as well as a fascinating look into how high-end mens fashion is created. You should read their page about their giant, hundred-year-old carding machine. Told you this place was cool. They make some really, really nice fabrics that are used in really, really nice garments. Have you ever wondered about camel hair? I have. Like, what’s up with camel hair? AWC is here to help. The raw fiber is collected by hand from the two-humped Bactrian camel which is found across Asia. While the outer protective fur (known as guard hair) is course and inflexible, the camel’s pure undercoat is very soft and can be gathered when camels molt during the spring. Because the camels’ humps help them regulate their temperature they are left unshorn for humane reasons. Fallen hair is normally gathered by hand though it may be collected by shearing or combing as well. After collection, the fine hairs are separated and washed to remove debris and dirt so they may be spun into yarn suitable for weaving. Most camel hair is blended into a recognizable golden tan though the hair can be dyed to other colors as well. The resultant cloth is luxuriously soft and usually finished with a high nap and loft. I love me some high nap and loft. The AWC story is a good one. Their products are 100% American made by skilled people who practice a nearly lost art. The fabrics made here are pretty much the best you can get in the world. The on-line retail shop for American Woolen Company can be accessed by our registered guests who have been assigned login credentials by our sales team. Anyway, now that I’ve put this page together I kind of wish I had pursued a visit more rigorously. 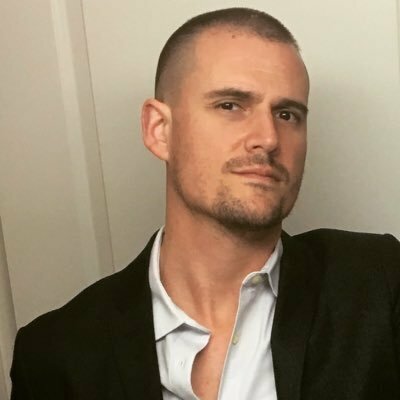 I’m on board with their mission and the way they are going about it. 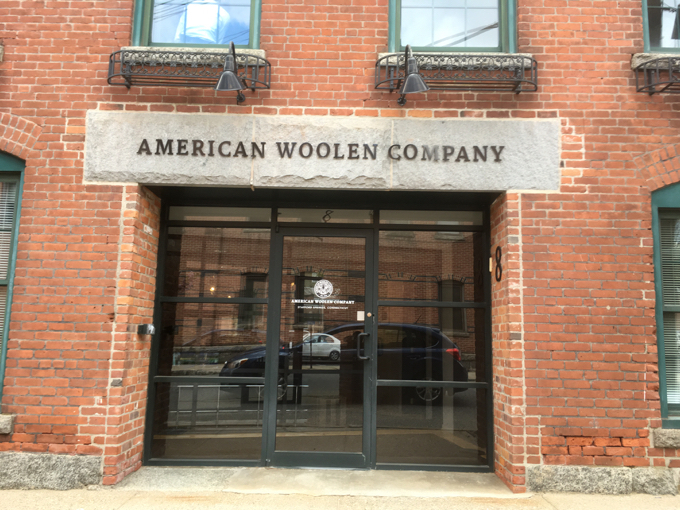 With so much industrial/textile history in Connecticut that is exactly that – history – it’s really cool that American Woolen Company is doing what they’re doing up in Stafford Springs. 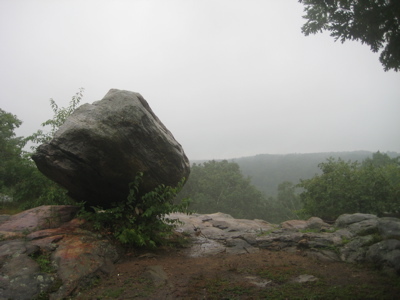 Here’s a good article about the whole shebang. Good morning, thank you for this report. American Woolen is striving to preserve the art and craft of fine wool textile manufacturing in America. We tell our customer that American Woolen fabrics and apparel tell the American story. I love this story…I have been trying to find out all of the information I can about the history of the company. I have found a piece of the history of this great company that has stood the test of time . The piece of history I am referring to is perhaps one of the first wooden machines of its kind brought to America…..I am anxious to find out more about it ,but ive found it difficult to connect with someone who knows enough . if there is Any way you can connect me to such a person…I’d be very grateful.. Thank you very much for your time.